Anchored by the historic Market Hall, the Market Place and Underbanks is a unique and special place in Stockport town centre, rich in heritage. We want to see this area become a vibrant and ‘must visit’ place once again so have launched a £7 million investment programme in the area. We’re working hard to see buildings brought back into use; events launched in the area and ever growing visitors coming to the Market Place and Underbanks. Fine dining restaurant Where The Light Gets In and bars Project 53 and The Angel Inn are just some of the businesses that have moved into the area. An events programme has been launched in the area and specialist operators have been brought in to use their experience to help the market thrive. 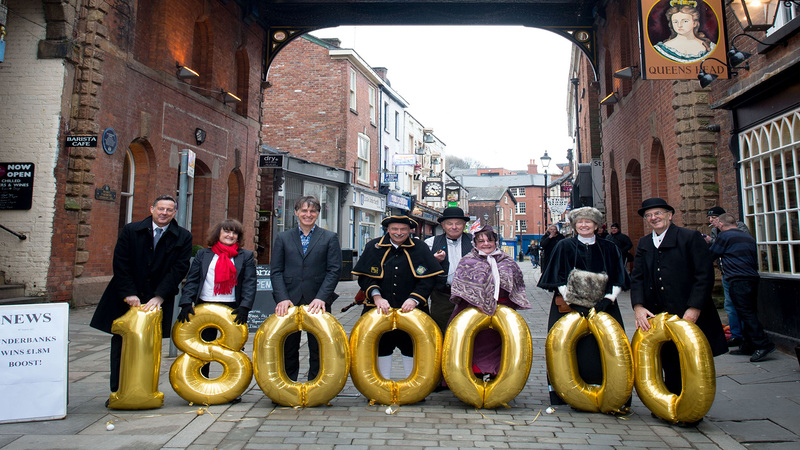 In January 2017, a further £1.8 million of investment was secured for the Underbanks following a successful Townscape Heritage Lottery bid for our Rediscovering the Underbanks project. Boosting the level of investment being made in the coming years even further. You can find out more by viewing the Rediscovering the Underbanks project pages.